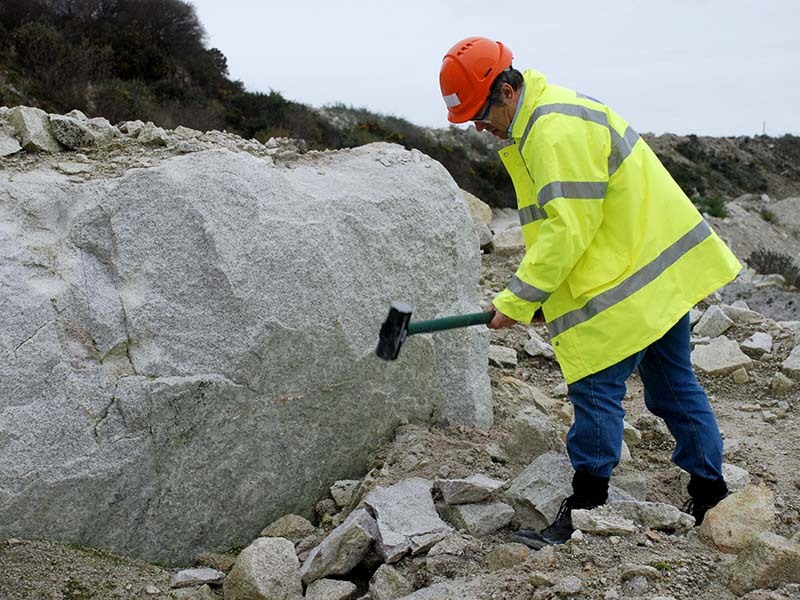 Kaolinised granite is incredibly soft and can be squashed by hand. 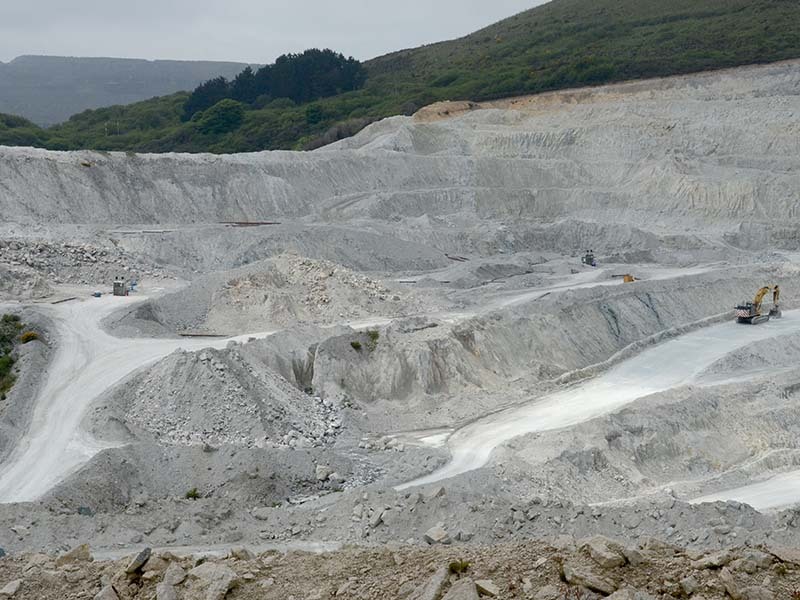 Littlejohn china clay pit. 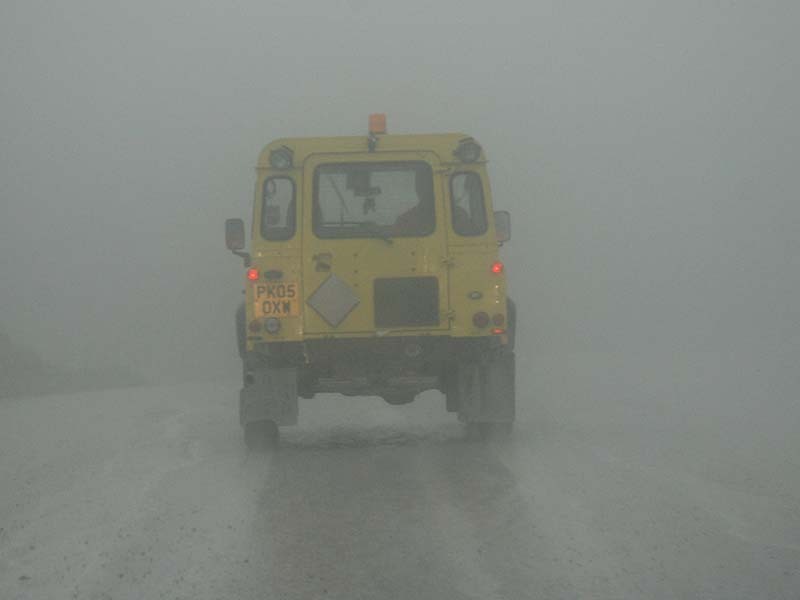 Cornwall experiences 50 inches of rain every year! 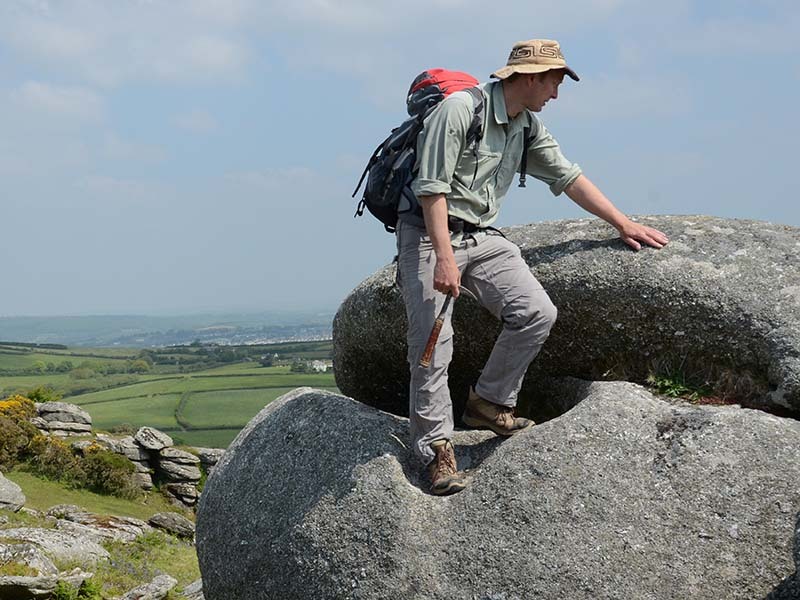 Prof. Dougal Jerram looks at the St Austell granite and the china clay and mineralisation that results from intense hydrothermal activity. 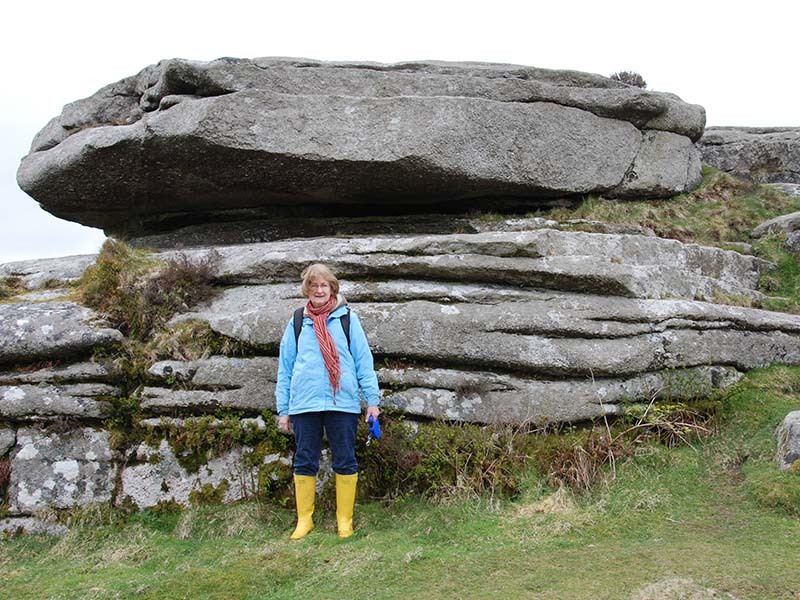 A case study of the St Austell granite complex in Cornwall, England, illustrating the range of rocks associated with a granite intrusion. 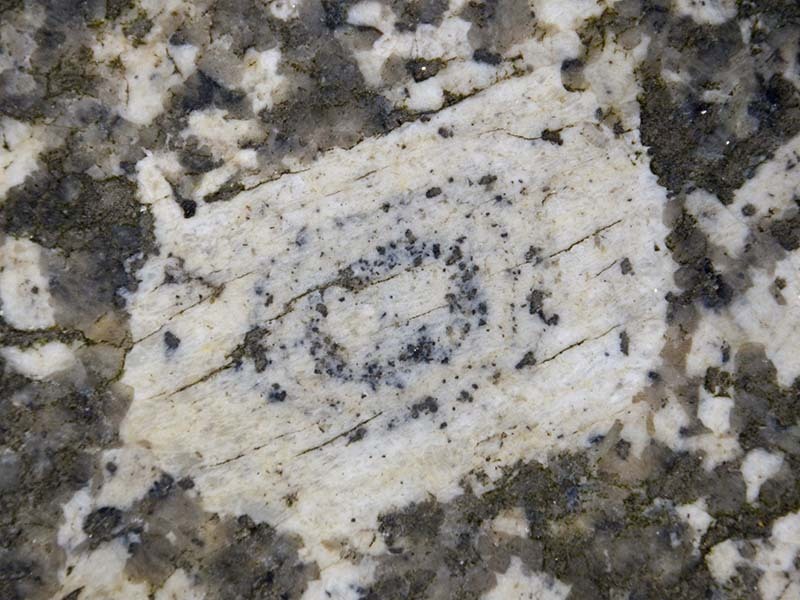 The earliest part of the complex is a siderophyllite (biotite) granite containing muscovite and tourmaline typical of a SW England granite, with many primary magmatic features. 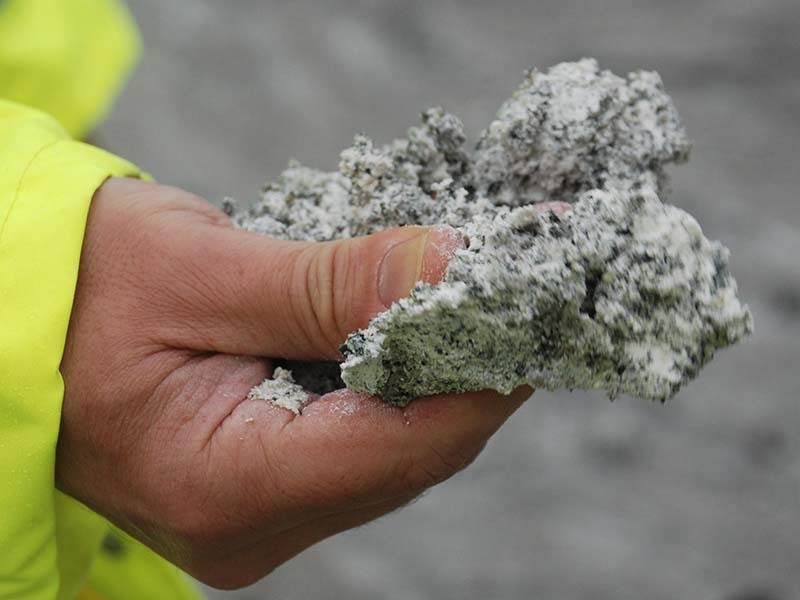 This early intrusion was followed by the intrusion of an evolved volatile-rich magma which was the driving force behind a series of intense hydrothermal processes as volatiles escaped from this magma and helped to establish an extensive alteration halo (aureole). 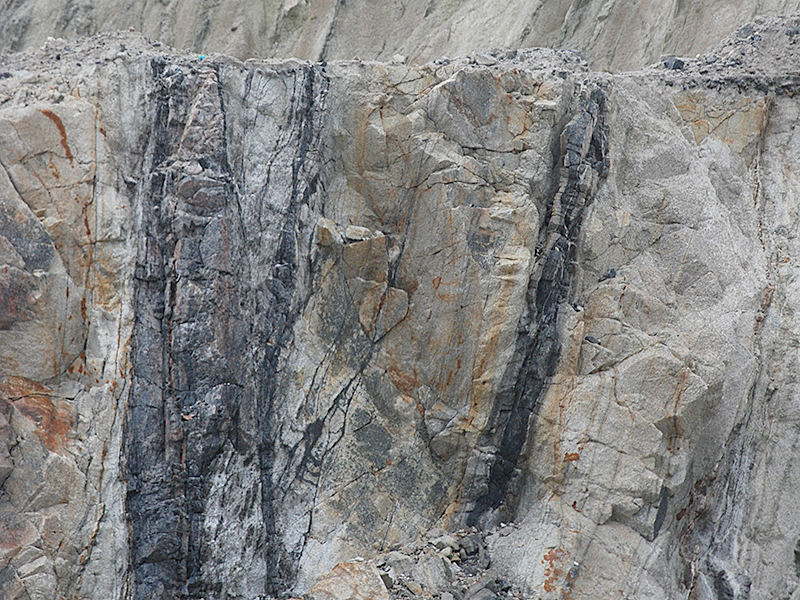 Boron, fluorine and lithium (as well as water) played major roles in the formation of the second intrusion and in the associated hydrothermal processes. 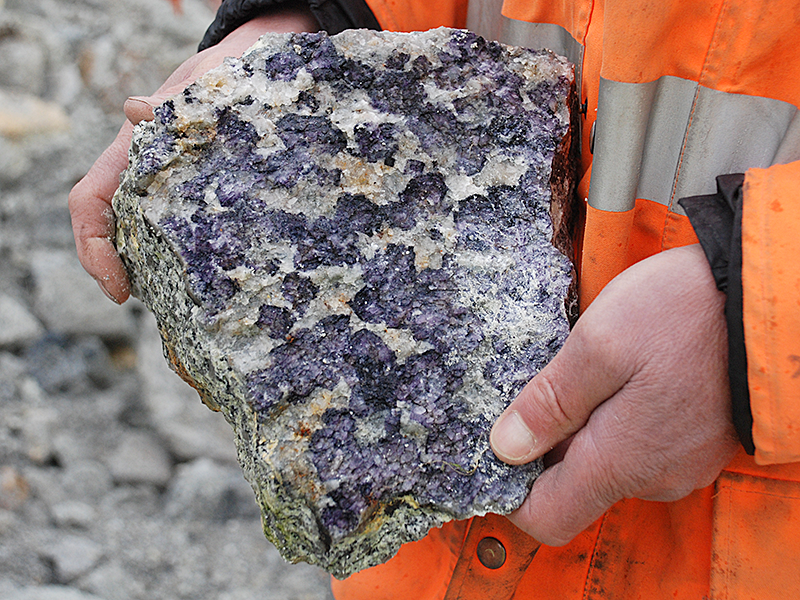 Igneous activity lasted around 18 million years from 282 (siderophyllite granite) to 265 (fluorite granite) Ma. 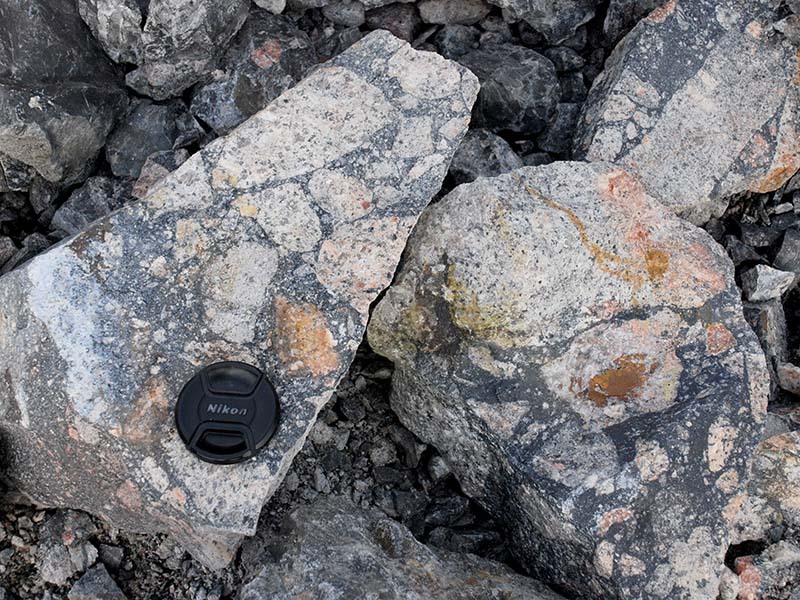 The samples in this collection have been specially selected to illustrate primary magmatic features and a wide range of the later processes which have led to the creation of: explosion breccia, elvan dykes, greisen, luxullianite, blue peach and mineralised veins. Examples of both copper and tin mineralisation are also represented in the collection. 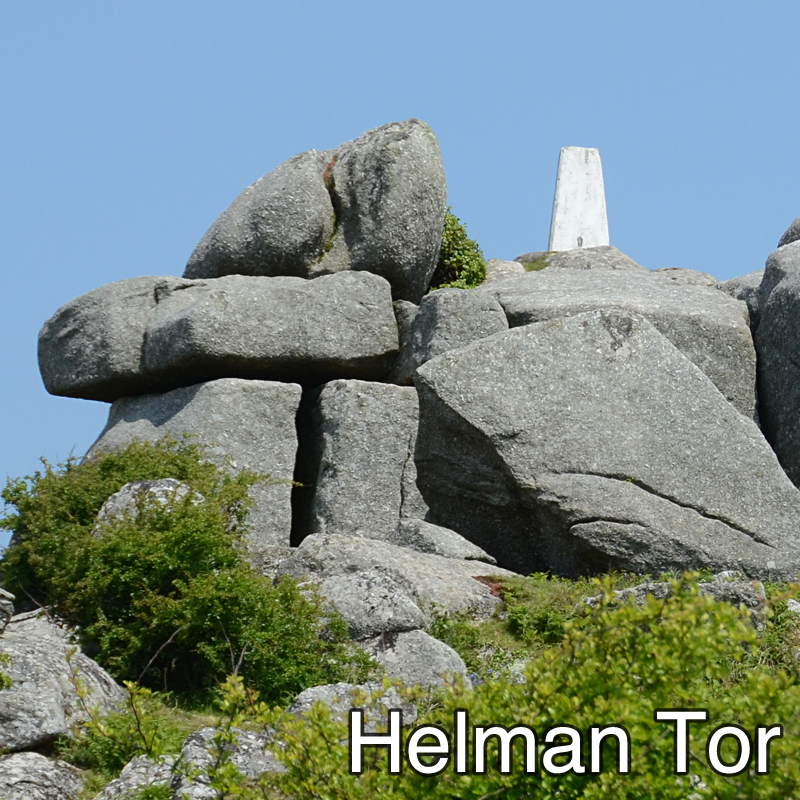 Tungsten mineralisation is also recorded from Castle-an-Dinas and Mulberry Down, but is not included here. 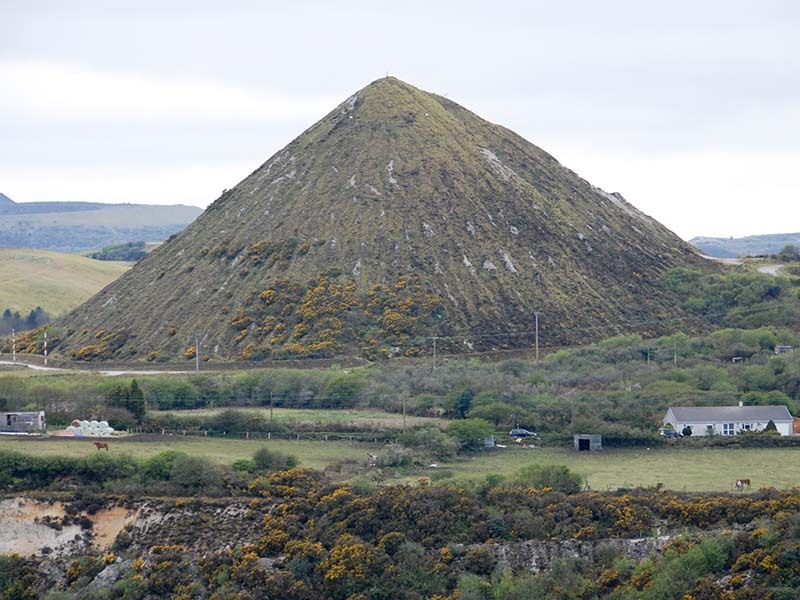 The St Austell granite complex is justifiably famous for its china clay deposits - formed from the alteration of feldspar in the granite by intense hydrothermal fluids. 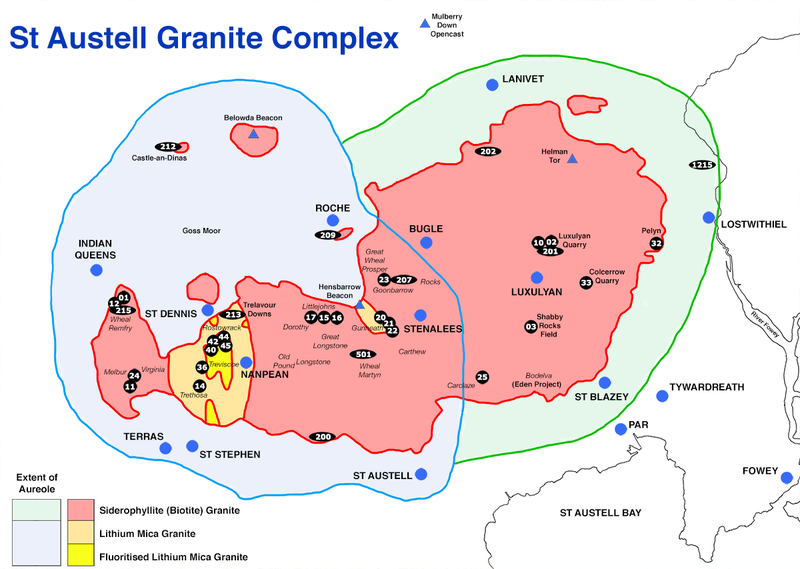 Less well known is the fact that the remaining rocks (and a significant amount of the china clay waste) contains a large resource of lithium.